We all use email and online file storage services like Gmail or Dropbox. However, these services may not be suitable for the storage of sensitive data, both personal and professional. Do we trust their privacy policies when attaching an important business contract or confidential information? Do we accept that all our data will be collected, processed, and analyzed? 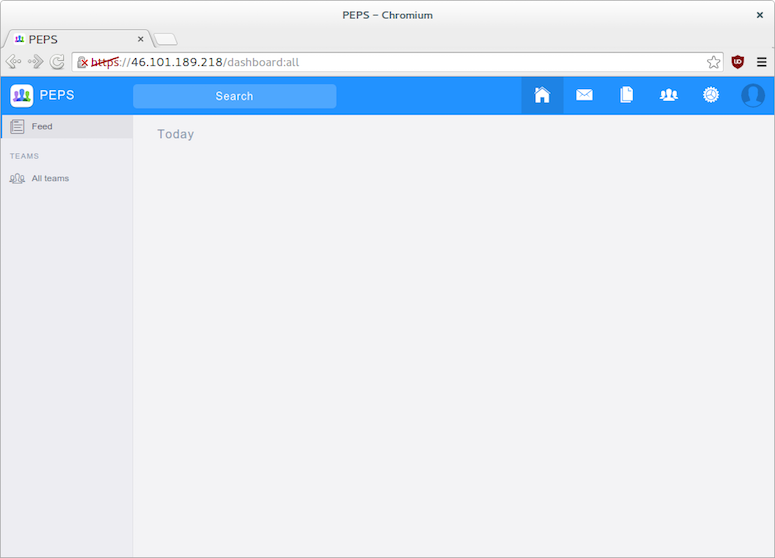 There is a solution to this problem: PEPS is an email, file sharing, and chat platform that uses end-to-end encryption. End-to-end encryption ensures that encryption and decryption happen on your computer (the client) and not on the server, which never sees confidential data in clear text. This tutorial will guide you through the process of deploying your PEPS instance on a DigitalOcean Droplet so you can safely store your data. An Ubuntu 14.04 x64 Droplet with 2 GB of memory if you have just a few users. Select 4 GB of RAM or more if you need more users or you just need more storage for your data. Purchase an SSL certificate to use in place of the self-signed one; this is recommended for production environments. Alternatively, you can create a free signed SSL certificate. Instructions for creating the certificate are included later in this tutorial. The name of your Droplet matters: If you plan to send messages via email to external recipients, you want Reverse DNS configured to avoid your messages getting flagged as spam. Good news: DigitalOcean automatically configures the PTR record if your Droplet name is set to your FQDN (Fully Qualified Domain Name). If you plan to send email from mail.example.com, that should also be the name of your Droplet (even if your addresses are in the form of user@example.com). You will also need to logout and log back in as your non-root user for this change to be active. Connect to your Droplet via SSH using ssh sammy@your_server_ip (replace your username and server IP), and run the following commands to prepare the environment. This command creates a text file named domain with your domain name as the first and only line in the file. If you already have SSL certificates at hand for your domain, skip this and copy your certificate and key instead (see Step 5). Choose a simple passphrase, since you will be asked to type it 4 times, and the certificates are placeholders. Most of the questions can be skipped: The only question that matters is Common Name (e.g. server FQDN or YOUR name) : which should be the same as your domain. Connect to your Droplet using its IP address by visiting https://your_server_ip from your browser where your_server_ip is the IP address of your Droplet. Since we are using temporary SSL certificates for now, your browser will warn you that the site is insecure. Accept it anyway. With Chrome, click Advanced to proceed. At first run, you will be prompted to create an admin password. Choose any of your liking, provided its complexity is sufficient. Due to end-to-end encryption in PEPS, the admin account can create and delete users but will not be able to access any existing encrypted user data. Once your admin password is set up, the main PEPS interface is shown. Next, let's focus on setting up the domain and certificates properly. Now that your instance runs fine, we still need to set the domain properly, which involves using real SSL certificates, configuring DNS, and more. Let's start with the DNS. Depending on your domain name provider, either use their own interface to set up the DNS entries for your domain or set up your own DNS server. If you want to setup your own DNS server, you can use the How To Configure BIND as a Private Network DNS Server on Ubuntu 14.04 article, which is part of the An Introduction to Managing DNS article series. mail.example.com. 10799   IN   MX  example.com. Your Droplet name should be mail.example.com. Don't worry. You can rename the Droplet from your DigitalOcean account. Click on the Droplet name to see its details, click the Settings tab, and then click the Rename tab. You might have to wait for DNS to get updated. You may also set additional records. Online checker MXToolBox is useful to verify your domain is set up properly and gives advice on several points. Note that DNS propagation can be a bit slow, but after a while (often 1 hour) you will be able to access PEPS from https://example.com. Note: After you have finished configuring PEPS, if you can't send or receive email from external domains, double check your A and MX records. If they aren't set correctly, you will not be able to send or receive email from domains other than your own. You will still have an invalid SSL certificate warning from your browser. It's now time to set up SSL certificates. If you don't already have SSL certificates you can buy them from a provider or even set up a free SSL certificate for non-commercial purposes. 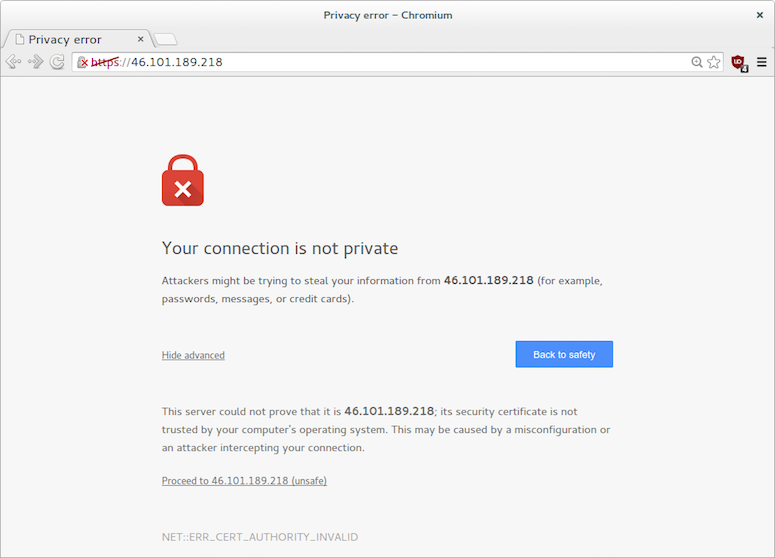 The How To Install an SSL Certificate from a Commercial Certificate Authority article explains everything about SSL certificates, including how to purchase one. Be sure to copy both the key and certificate named server.key and server.crt in the /etc/peps/ directory. where your_server_ip is the IP address of your Droplet. When done, check that your browser can access https://example.com without SSL errors. To create more users, log in as the admin user with admin as the username and with the password you created in Step 3: Logging in for the First Time. The admin user can create email accounts for your domain. Go to the PEPS Admin Manual to learn how. First, try to send and receive email between two different users within your domain. For example, try sending an email from admin@example.com to sammy@example.com. If that is successful, try having sammy respond to admin to make sure the reverse operation succeeds. Now, send an email to an account outside of your domain. If this fails, your A and MX records have not been configured correctly. Go back to Step 4: Setting Up Your Domain. Don't forget to test receiving email from a user outside your domain as well. Congratulations! 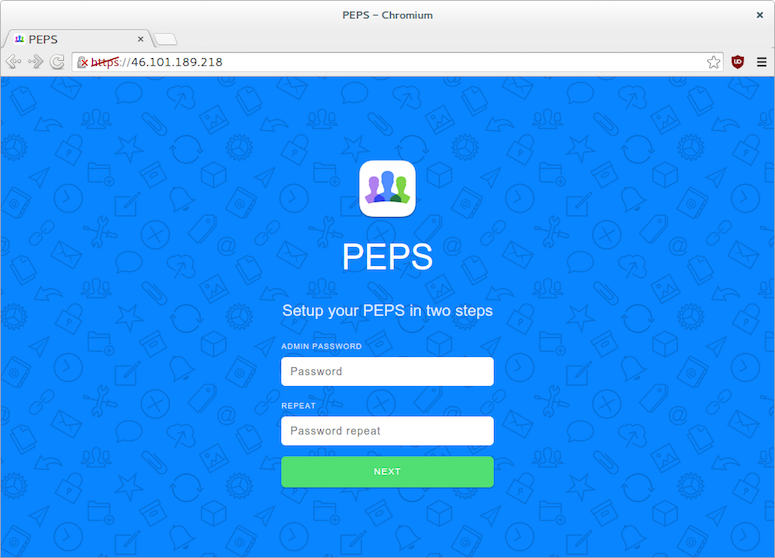 You now have an instance of PEPS running on a DigitalOcean Droplet. 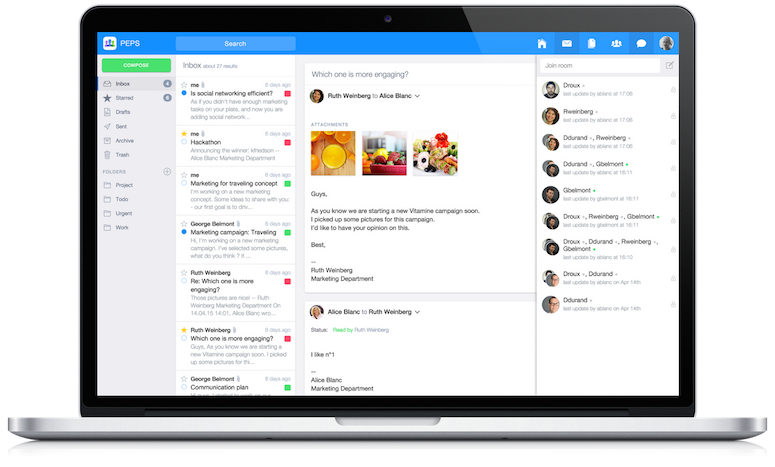 You can send messages, share files, and more (by running plugins such as chat) securely. More documentation for developers wanting to use the PEPS API or for operators regarding backup and more are available from the project wiki on GitHub. Also visit the PEPS Facebook page for the latest news about PEPS.